I can assure you that I'll encourage my family to go skating in Norman often, which means I get to work in a stop at Homegoods! ;) And, I'll be dominating the Mini-Golf at Hey Day (I just SEEM calm and easy going, but put a putter in my hand and watch out!). A few years ago we took advantage of White Water/Frontier City season passes, and it was so nice to hit one of the parks for a few hours at a time and not feel like we had to stay all day just to "get our money's worth." 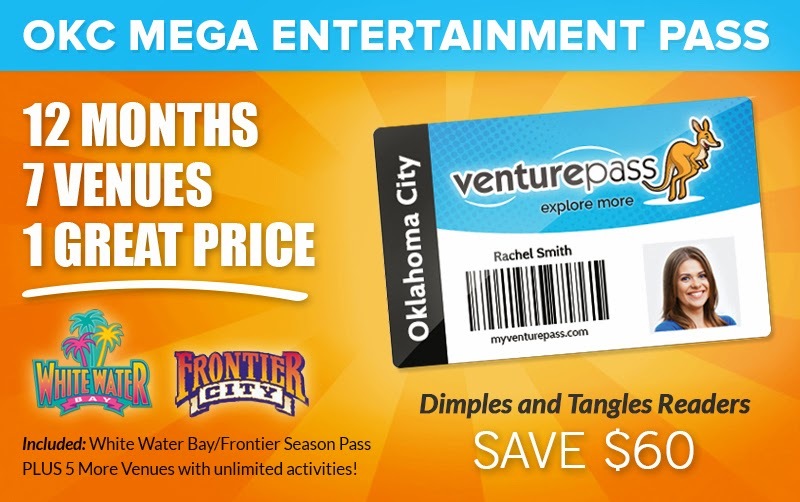 The Venture Pass offers all of the benefits of that season pass, PLUS 5 more attractions, available year round to visit, all for just a few dollars more than a standard White Water & Frontier City season pass. Just think about all of those random out-of-school days, snow days, or lazy Sunday afternoons where you need something to do for a few hours. 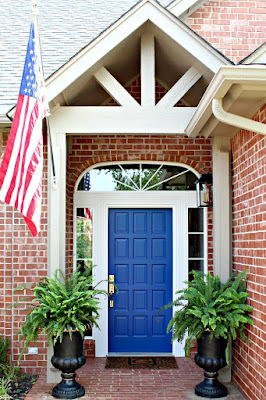 I KNOW this will come in handy for our family through the Fall, Winter, and Spring, too! These entertainment passes are good for a 12 month period beginning on date of purchase. Priced separately, these activities would cost an individual well over $450. 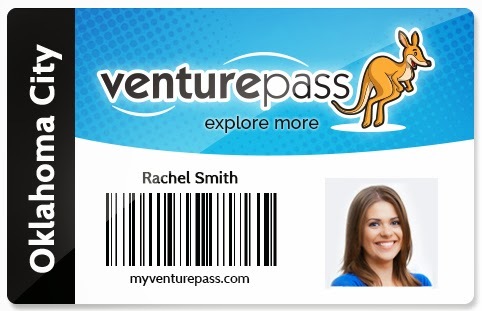 The Venture Pass can be purchased at www.myventurepass.com and is typically sold for $149.99 per person. However, Venture Pass is offering a discount rate of $89.99 through the end of March as a special promotion during their launch month. 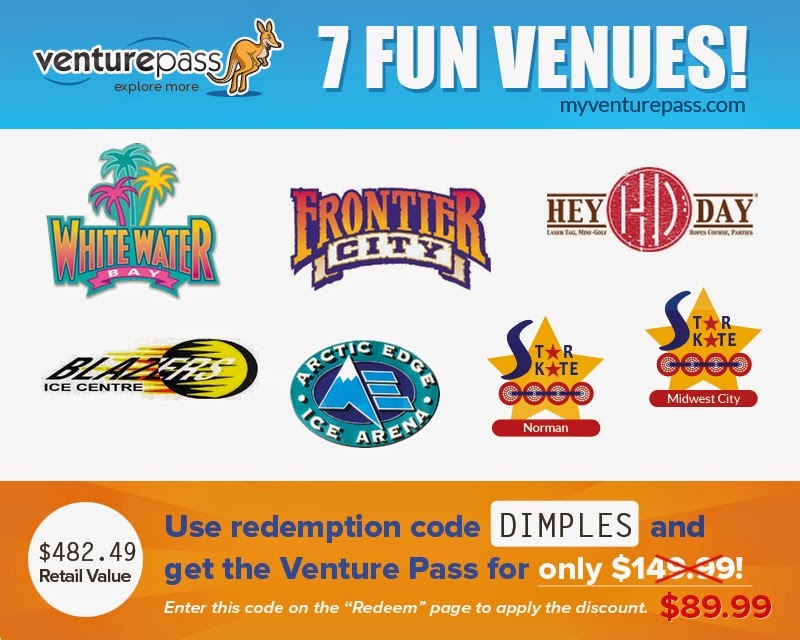 Simply go to https://www.myventurepass.com/passes/redeem/okc, and enter the promo code DIMPLES. This pass provides Oklahoma families a chance to enjoy some of the best entertainment options in the area throughout 2015 at an affordable price. Be sure and get one for each member of your family at the discounted rate! I think the Venture Pass is going to be a huge hit in OKC. Don't forget, it's good for 12 months from the date of purchase, but to get the greatest benefit be sure to purchase by the time Frontier City opens on April 11. And, to get the very best price, purchase by the end of March with the promo code DIMPLES. I know my family can't wait to start using our passes, and I want to hear all about the great time you have with yours when you hit the parks! *Disclosure: Venture Pass provided passes for my family in exchange for sharing this amazing offer with you. I am happy let you know about this bargain for family entertainment! Shoot! We already got our Frontier City/Whitewater passes for a Christmas gift. Next year, this looks like the way to go! I hope we can get together this summer and let the kids run around Frontier City together. Have fun with your Venture pass on spring break Jennifer!! Sounds like tons of fun! DON'T BUY IT! They came to our town and hassled my company about joining and wouldn't take no for an answer. They lied about who was on board, not knowing that we could check up on them, and we found out they were lying to others saying we were on board. When I said no, they started harrassing other people in our company and our business partners. We still said no. this year, they rented our facility under a different name, not telling us what it was for, then advertised to the public that we were part of the pass. Had we known, we would not have agreed. DO NOT USE THEM. 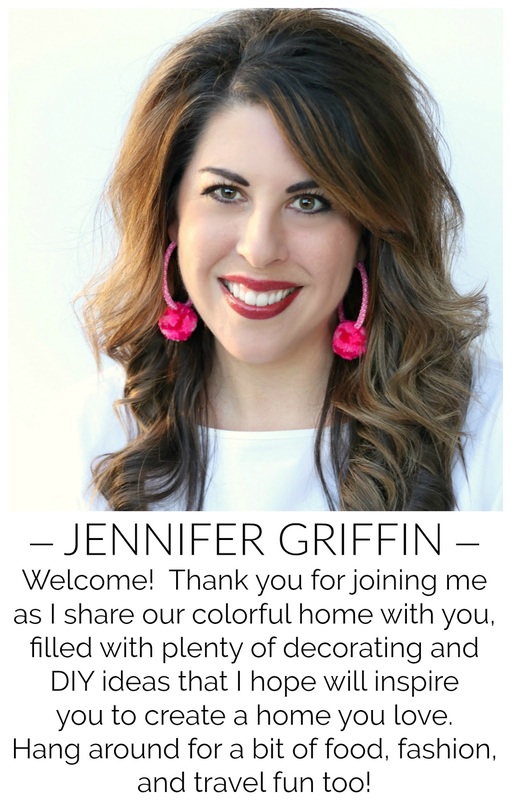 Jennifer, I'm sorry you didn't have a good experience with this company. I have had a wonderful experience working with them, and my family is looking forward to lots of fun while using this pass.